On Thursday, September 20, 1990, a group of 26 interested people met at the Messick Community Center in Harrington, Delaware at 7:00 pm for prayer and Bible Study. Discussion that followed resulted in an overwhelming vote to start a new church, united in spirit, with the sole purpose of glorifying the Lord Jesus Christ. 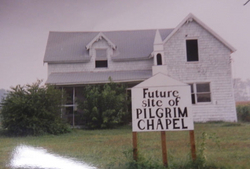 On September 27, 1990, the name Pilgrim Chapel was selected by vote. Outreach ministries started were: Pilgrim Men; Pilgrim Women; Missions; Prayer Chain; Sunshine; Choir; Ushers; Greeters; Nursery and Fellowship Dinners. Pilgrim Chapel also joined the Lake Forest Ministerium and donated to the food pantry. On October 7, 1990, the first worship service was held with 49 people attending Sunday School, 64 attending Morning Worship and 45 attending Evening Service. Rev. Liston Moyer was the preacher and the first sermon was from Romans 12. The Chapel was organized as an Independent and self-governing Church. Fifty-three charter members were received on March 24, 1991. On April 11, 1991, the congregation voted purchase 4 acres of land from Ebon and Vergie Coates. The ground breaking was on April 12, 1992 and the first service was held on December 6, 1992. Many of the church members and friends were instrumental in building of the church. At the annual church meeting on November 10, 1999, the Church voted unanimously to build a multi-purpose building (48'x100') connected to the existing building at the carport. 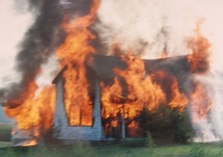 The annex included a secretary's office, a pastor's study, five Sunday School classrooms, a kitchen with pantry, second floor storage and a large, multi-purpose dining room. Services continued under Rev. Liston Moyer, Rev. William H. Miller, Rev. Everett Isaacs, Rev. Ron Wuest, Rev. James Scott, Rev. G. Ervin Shreckengast, Rev. Alvin Rohm, Rev. Ken Hickman, and Rev. Charles Johnson (present).